Good post — lots of lessons to be learned about being fearless. In my experience, most non-lethal fears are either unfounded or based on false assumptions. Thanks, Kevin. Great quote from your golf coach. I’m betting if you are older than me, it’s not by much. 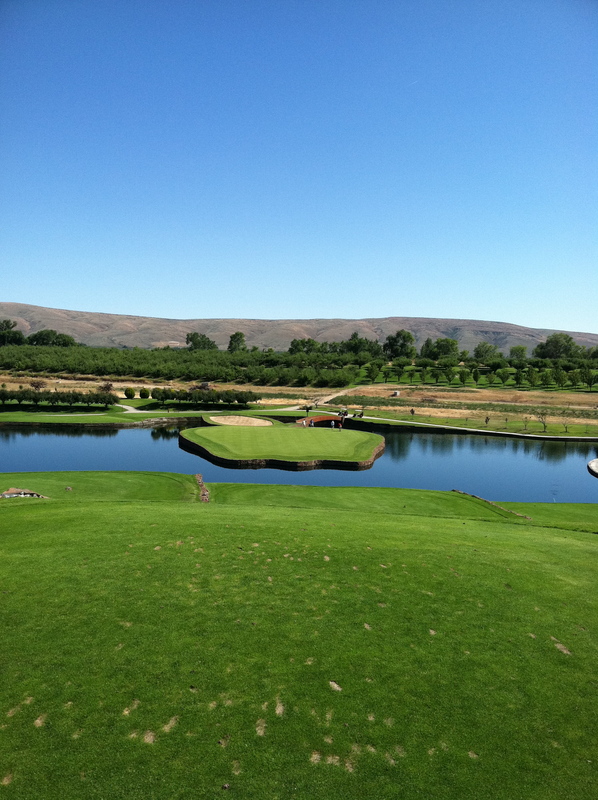 The island green above I played this weekend. I clubbed up since the pin was in the back. I was 45 feet left but safe and pin high. My buddies were either in the water or well short on the green. One guy actually putt off the green going uphill. There’s a lot to be said about being pin high!